Fukyouwoan MV will be on all types. Eccentric will not have an MV. W-KEYAKIZAKA no Uta, Hohoemi go Kanashii, Tuning, Wareta Sumaho, and Bokutachi wa Tsukiatteiru MV's will be on each CD type the song is on. Kanji's (including Neru) will be getting solo PV's. Hiragana's (minus Neru) will be getting paring/trio PV's. Fourth single to include all Kanji members in senbatsu. Fourth consecutive single with Hirate Yurina center. 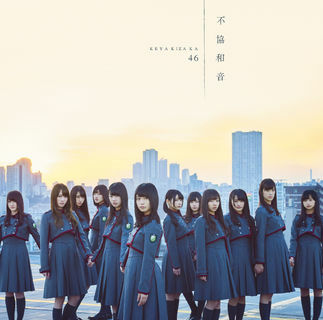 First single where Kanji and Hiragana members participate in the same song (W-KEYAKIZAKA no Uta). As of this single, Ishimori Nijika, Habu Mizuho, and Ozeki Rika are the only Kanji members to not have been front row members of a senbatsu. The 46 groups are the only one I like from Aki-P, I'm looking foward fro this single because there are more girls now and there's the possibility that some girls get to be out of the senbatsu, but I wonder what if they make 2 A-sides? One for Kanji and the other for Hiragana, of course Kanji's would be the main A-side. 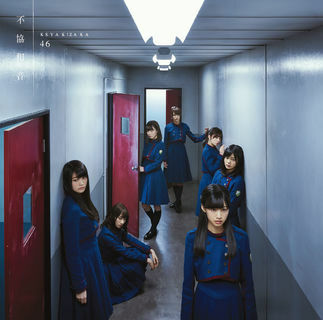 I mean It's Keyakizaka, unexpected thing have happened to this group in their releases. I'm still hoping this is a 21nin, all 1st gen senbatsu. You know the first ones to go would be Nijika, Fuyuka, Ozeki and Nana (maybe Nanako and Nanami as well) if they do cut members. The four of them bring something unique to the group and Keyakitte Kakenai? would be really boring without them. It just so happens they're the most outspoken members too. As much as I would love two asides, i don't think that will happen. IIRC Nogi (or any 48g) has never had two a-sides being promoted at the same time, so if they did that then we can be sure that only one a-side would be performed more than the other. And tbh, I would much rather see them put 100% effort into the production of only one a-side, instead of having 2 mediocre songs as a-sides. BTW could explain me how the slots/blocks work in the HS events and how do they get sold out, please? I'm learning about that since I became a 46 fan not long ago. The hiragana members have been blogging very positively about the single plus almost all the members posted 4 5 blogs so there is a chance for a mass senbatsu. I think 32nin is possible, although I see more possible a 16nin or 18nin Senbatsu. Found a blog the shows 5 members in Taiwan. The discussion that follows suggest that it was for a PV and with the members shown believed to be the coupling PV. Senbatsu to be announced on Sunday's showing of Keyakitte Kakenai, rumored to be a 21nin senbatsu. 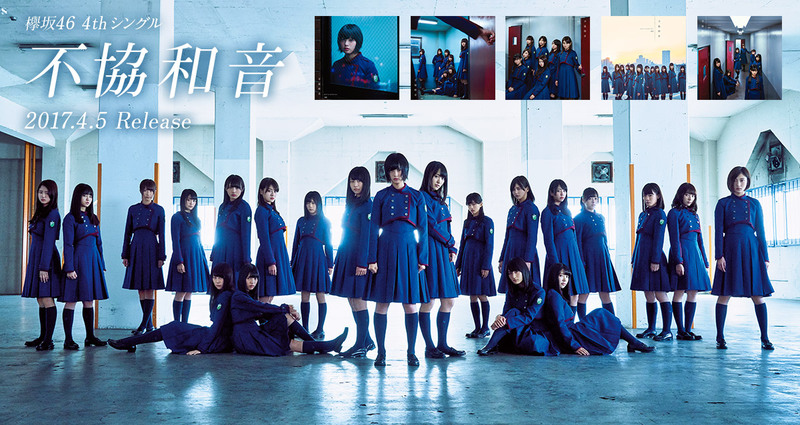 All Kanji Keyaki (inlcuding Neru) are at 24 slots. All Hiragana Keyaki (minus Neru) are at 12 slots. Along with the usual girls who sell out in the first round (Techi, Zuumin, and Rika), Sugai, Risa and Neru sold out in the first round too! Katou Shiho is the only Hiragana keyaki to sell out a slot in the first round (not including Neru). So the center for this single is Yurina again. I'm not worried about Nijika. She, Habu, and Ozeki are almost guaranteed to be in the first row come the 5th single, which will probably be the last to have a 21nin lineup before switched to KanjixHiragana. I know she must be feeling sad about it now, but she must realize that she is still lagging behind the other members, whereas Naako and Uemu are speeding ahead in popularity (more than Shiori, Fuyuka, Minami and Aoi at the time until Futari Saison), and their handshakes are stable. Oda and Yone are steadily increasing too. Up until now, Nijika's been in relatively the same position from debut, but there has been no improvement in popularity. It's only "fair" that the other four get to be at front for this single while Nijika tries to find out what works for her. Nijika has been one of my favorites since debut, so it hurts to see her not improving, but I know she can do it. When she (and Ozeki) figures out how to appeal to fans, i'm sure management will pick up on it and immediately push her to the front. If there is anyone i'm worried about, it's Habu. She was doing well at the start, but then kinda faded into the back (despite her tallness). I think she should be a lot more popular than she is now, so I hope she can also find a way to appeal to fans more as well. i'm just glad 21nin is still here! If they really wanted to give every member a chance in the front then they should have done it in the 2nd single as well. I hope from the next single its something like a 16-18 member senbatsu with hiragana mixed in as well. You guys think the members selected for the AKB single are there top 6/kami-6? ^ I'd say it's an accurate "roku fukujin" line-up. Hirate, Sugai, Neru, W. Rika, W. Risa, Zuumin, with Mona, Akanen, Suzumoto and Kobayashi rounding it to 10. ^IA, but then again, you could say they were testing out the waters between 1st and 2nd row by shuffling them around to see where they all fit in the top 10, by the time they figured it out in Sekai ni, they could move onto the 3rd row with Futari. Top 6 is pretty accurate, it's just the first 6 people to sell out their slots in the first round, which was Techi, Neru, Sugai, Rika, Risa, and Zuumin. ^ That would be pretty cool if they based their decision on who sold out their slots, kinda like a tiny SSK. ^well, it's kinda like nogi in a way, it's believed that they (management) heavily base who gets chosen for senbatsu on how well they do in HS rounds for the previous single. Since sakamichi don't have anything to determine the members popularity, HS events are the closest thing to that. Although you could argue Naako and Uemu are in T2 looking at the handshake results for the past 3 singles lol. I would agree, but i think they need that slight push (which they will get with this single) to solidify their place in t2.